I’ve always loved the craft of mixing cocktails; I’ve even got recipes in an very old notebook that I made when I was just barely old enough to legally imbibe. Beyond my own love of food and cocktails I have always enjoyed mixing them for friends and that segue to sharing them here came naturally. Still; my initial effort a couple of years ago was thwarted for some time by an injury that has taken way too long to mend but I’m up and out and about again and it became a natural progression over the past year to build a repertoire of drinks and liqueurs. The effort has been so well received that it has spawned others doing the same (that’s a compliment, right?) and after a year of doing a cocktail every week, it’s easy to see some trends from this perspective. Fall and winter are warm and serious for the most part, drinks that include bourbon, rye, scotch and tequila and include more of the Classics I love to research where I often discover a surprisingly storied history. Spring and summer become more seasonally inclined in the ingredients used and include a cacophony of fruits and much more frivolity. I’ve done fruity and fizzy and have even included boozy popsicles and ice cream in the mix. Not to be forgotten has been the creative venture of making my own liqueurs and this year I’m left to wonder where on earth I will store the continued fruits of my labors (Next? Wine jelly. So easy, so good. GREAT gifts too). I can’t let this occasion pass without a birthday party so be sure to visit next Friday. I’ll have some wonderful blogging friends dropping by and sharing a cocktail with all of you, some great prizes (yes, including booze!) and maybe, finally, what some might consider the quintessential cocktail…no, I’m not telling but I would love to know what YOU think it might be! Today? Some favorites from the past year. Not based on a popular vote but just ones that I’ve made and simply LOVED. Still, I can’t honor this effort without a reminder of what started this entire series. The Vootbeer. 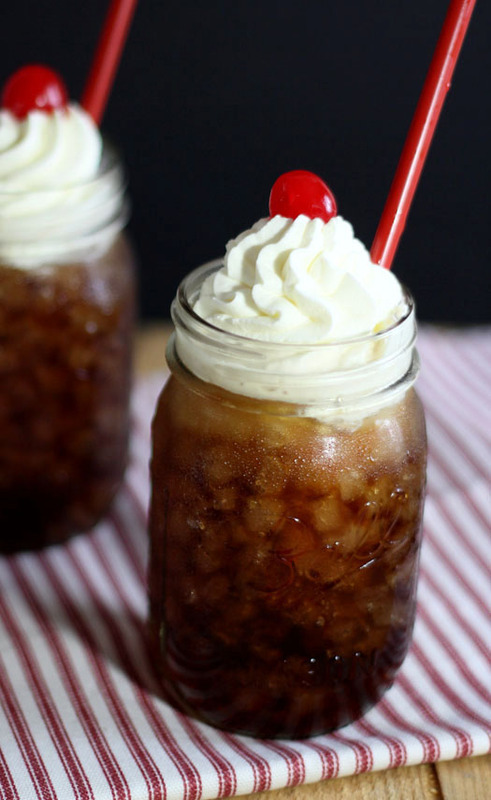 Vodka and Rootbeer mixed together with a dollop of whipping cream and a maraschino cherry. The first cocktail post that started a weekly series. I remain amazed that it has been in the top ten of my most visited posts every single week of the past year! I loved this cocktail and I loved this photo; it so clearly conveyed just how great this drink is. Crisp and with a touch of fruit it is Gin, ginger ale and cranberry simple syrup. Simply wonderful. I think a perfect holiday cocktail. Love tequila? This one was surprising and OH SO GOOD. 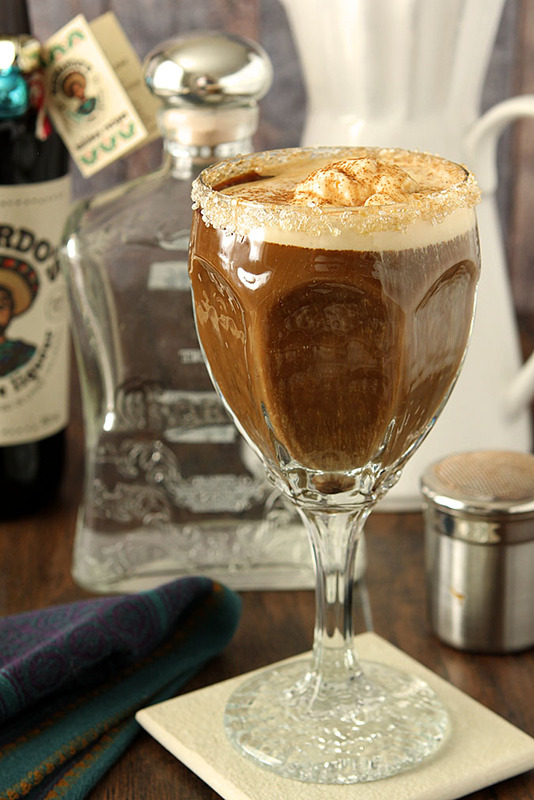 Coffee, Kahlua and tequila…sort of a coffee with a kick. Flame at your own risk but I LOVED it! 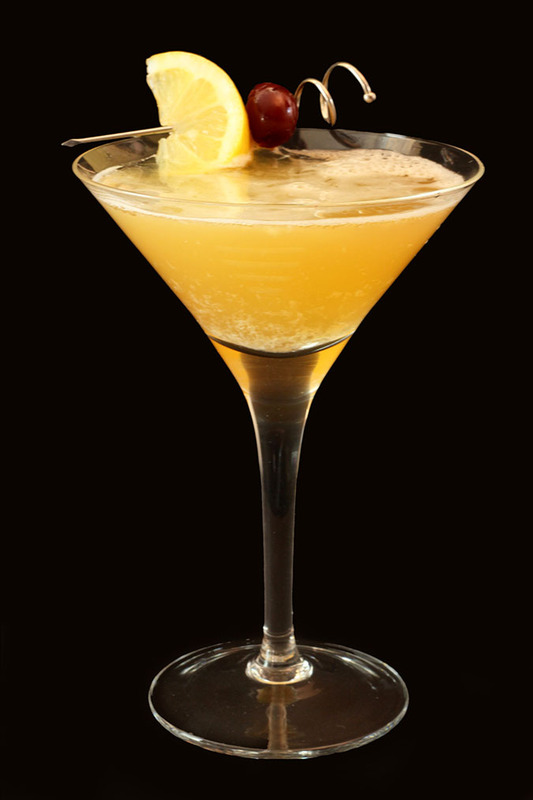 My first adult cocktail that I recall ordering at a restaurant and I just loved it. That has not changed. Rum, homemade Grenadine syrup, lime and soda. Simple and delicious. Quintessential. Simple. Fabulous. Don’t you DARE buy a sour mix ever again! Borrowed from a local Denver watering hole this cocktail is unique and oh so delicious. The rosemary simple syrup makes it so. Not as herbacious as it’s cousin Campari, Aperol is relatively new to the US but this cocktail is hugely popular in Italy as an apertif. Try one and you’ll see why. Just one of the liqueurs I’ve made this past year but I can not deny it’s a favorite. Great on it’s own from the freezer I’ve also used it in cheesecake and ice cream. Start soon and make your own for holiday gifts! This is my all time favorite mixed drink. Fresh fruits, good quality tequila and orange liqueur and you can not go wrong. I’ve enjoyed other margaritas this summer, most noticeably this blood orange stunner and the unique Caprese margarita from a local restaurant but this one, this cocktail…it’s the one I’m known for and I’m good with that! Though not the end of this year, I guess it seems fitting to celebrate the end of my first full year of cocktails with this one I like to serve on New Years Eve. Simple and gorgeous but like it’s namesake, it packs a potent punch! Want more…here’s the entire Friday Cocktail collection and don’t forget – you’re invited to the party and I expect to see you here next week! 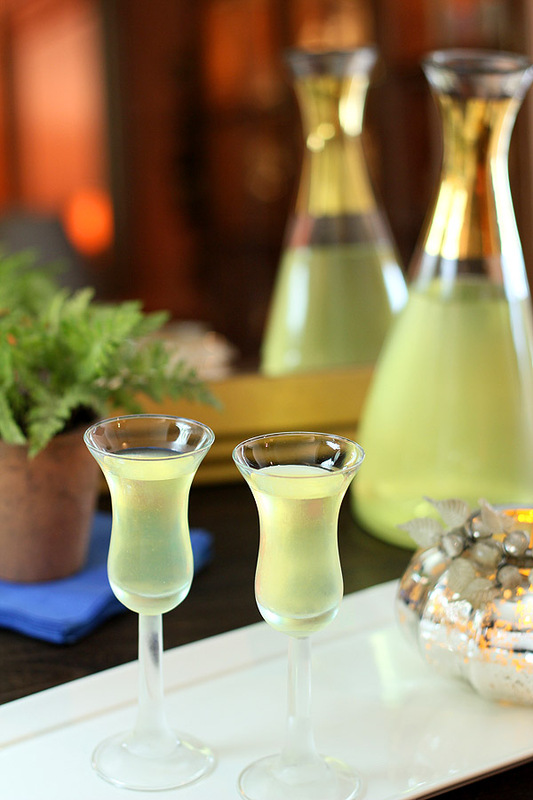 looking for a great holiday cocktail recipe for a supper club . Will keep checking, you have some beautiful choices ! Sign me up for anything sparkly! I love sparkly! Diamonds first, of course, but sparkly adult beverages are a close second… Can’t wait to see the Creative Culinary Cocktails. Congrats on your anniversary. All I can say is DO IT! It’s a fun craft and one my friends sure enjoy too! Me too! I made a cocktail this summer with limoncello and prosecco garnished with raspberries and mint and it had to be one of the prettiest drinks I’ve ever made! 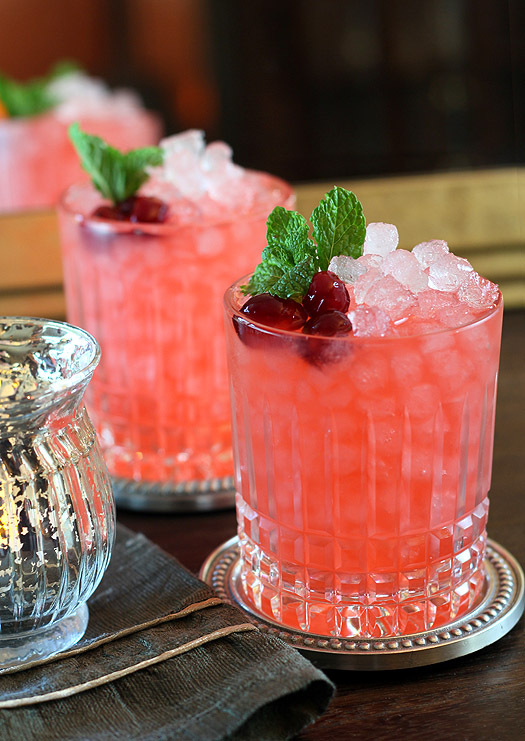 I would love a cranberry and ginger fizz right now! Great list. Good choice; seriously loved it and just perfectly pretty for the holidays too. Really excellent photos. 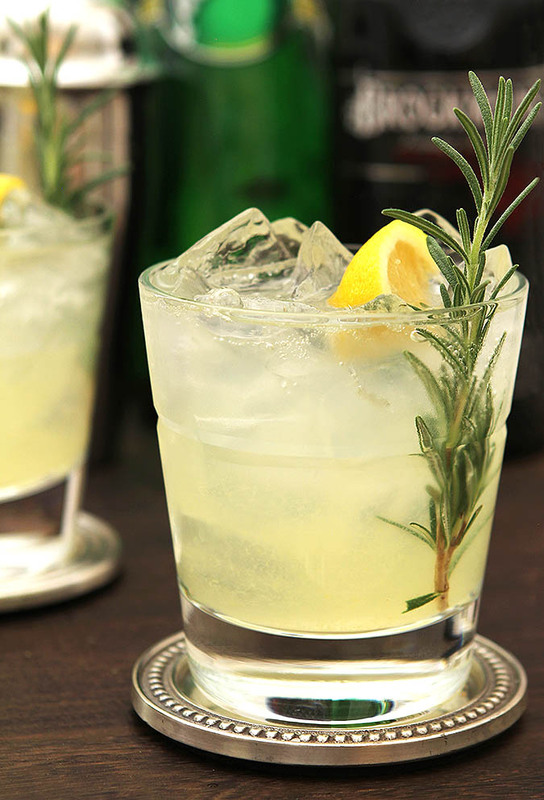 Cocktails are tricky to photograph, and you’ve really mastered the art and craft (it’s both). Good stuff – thanks. Thanks so much…coming from one who knows that means a lot. I love shooting cocktails; for me I think easier than the food! Congratulations on a YEAR of beautiful, delicious cocktails, Barb! Can’t wait to see what the next year brings. Thank you my friend. I suggest a convention. A Food Blogger Cocktail Convention! I love all of these drinks and photos. I may like the best the French 75 (just at this moment-I change my mind every time I look)and could see that photo in a magazine. Also at this moment I would really love to try that perfect margarita because it looks just perfect! Cheers to a year of a gorgeous and tempting cocktails! You’re like me…you should have tried putting together that collage of 12! I just had to finally say it was good…cause they all are! Such a great post ~ I am sure this will be all over Pinterest! Thanks Marla…that would be great; I would love to have a lot of folks visit and enjoy the cocktails and some very fun prizes too. See you next week! Your photography of these drinks is outstanding. I’m in awe of the photographs and I’m so thirsty I can’t stand it. I love the vootbeer – no rootbeer in Australia and I’m craving that drink now! Aw; you are too sweet; my photography is such a work in progress and I feel I have such a way to go so your comment warms my heart, truly! The vootbeer is fun…but hey it’s vodka; I would drink it in almost any kind of soda! You certainly started something wonderful Barb. Congratulations on the success of your Cocktails Feature. The beautiful and tantalizing drinks you mix up for us every week are complimented perfectly with the amazing photographs you take of each of them. I can only imagine the time and effort you put into this project! Know that each of your posts are read and appreciated by so many grateful readers. Thank you for this series, I bow my head and raise my glass to one very special and talented lady. Thank you so much Paula; it’s something I just love and I guess it shows? Cheers to you my sweet friend!! Ahh… The Vootbeer! I remember that. One of my personal favorites! Can’t wait for the party! These all look so amazing!!! 🙂 I’ve made the cranberry gin fizz, as you know and I plan to make many more of these. I am a big fan of Aperol too! 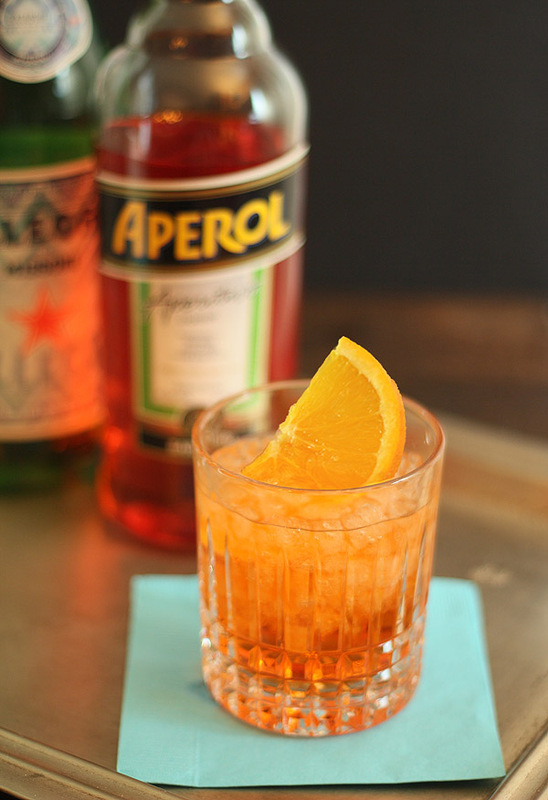 So few know of Aperol; that needs to change! I personally find Campari too herby, too bitter…for me, Aperol is just right. 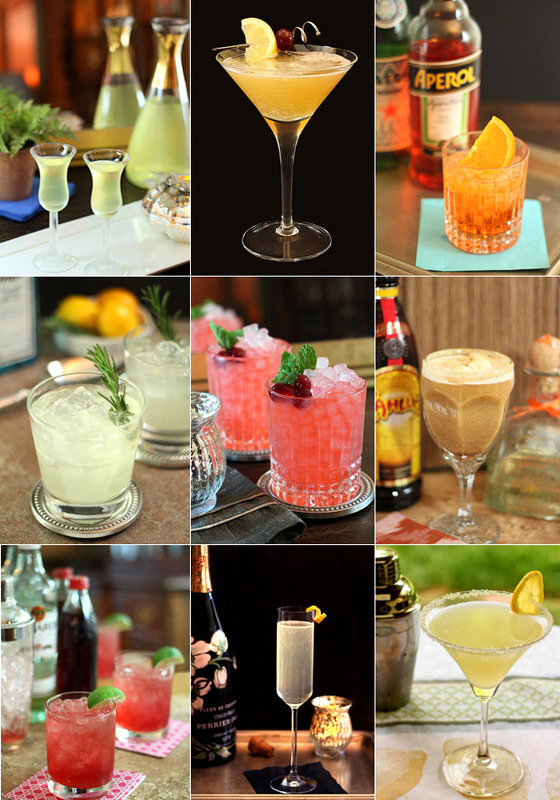 What a collection of recipes and photos– you have been busy creating such beautiful drinks every week! Looking forward to your one year celebration! Thanks Holly…and I’m looking forward to you being a part of it. Cheers! There are a lot of people in this world that I would LOVE to be my neighbor. You, my friend, rank at the top of the list. Not just because you’re sweet and I love ya, but because you….you can make one hell of a great cocktail…or a bunch of great cocktails. My life will be complete when I get to clink glasses with you and say Cheers! 🙂 Great post!! Aw thanks sweetie and the sentiment is shared, hope you know that! Cheers! What a amazing collection! Both of cocktails and photos! Such gorgeous pictures and drink combinations they have even me (not usually a cocktail fan!) looking for an excuse to make one. Trouble is I couldn’t pick just one, there are so many that take my fancy! Looking back through all the cocktail posts I remember so many, the Cranberry Ginger Fizz (best cocktail picture ever! ), the Grapefruit, Lime and Maraschino Martini, the Blueberry Smash, the Cherry Sidecar! Wow, you have truly outdone yourself here! Amazing Barb!